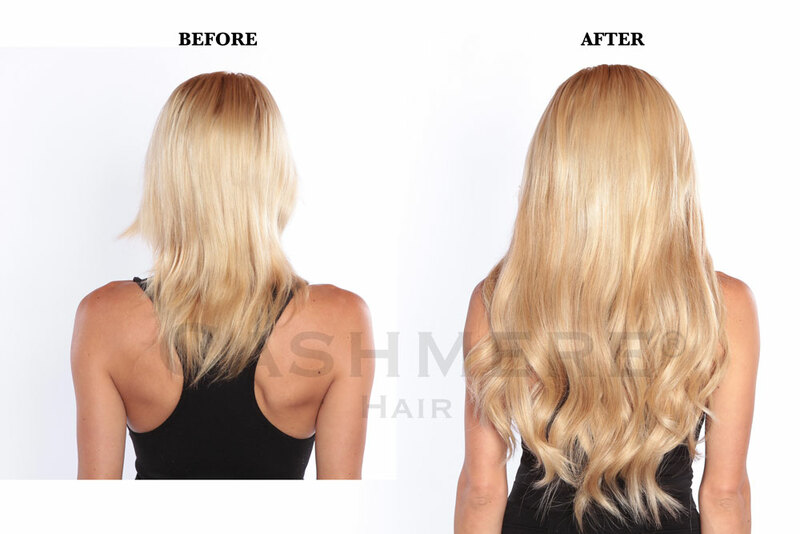 lengths available & how to place a custom order. 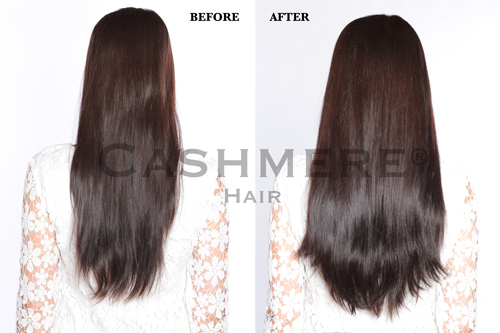 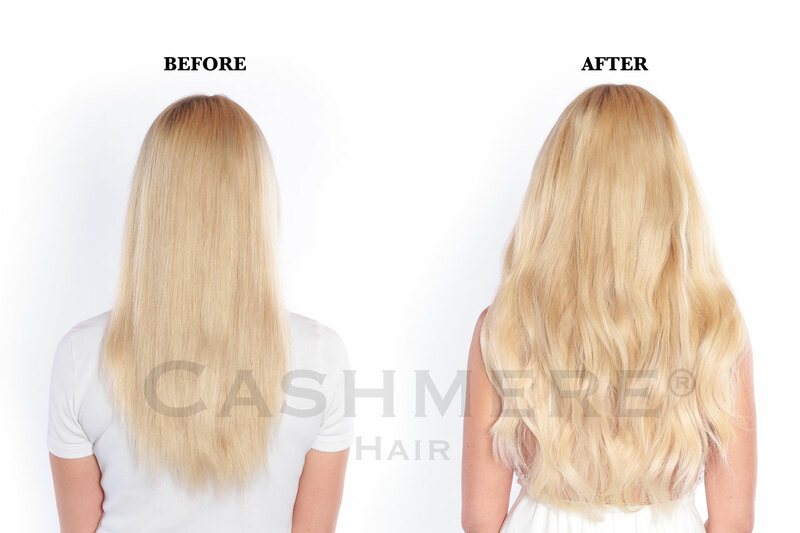 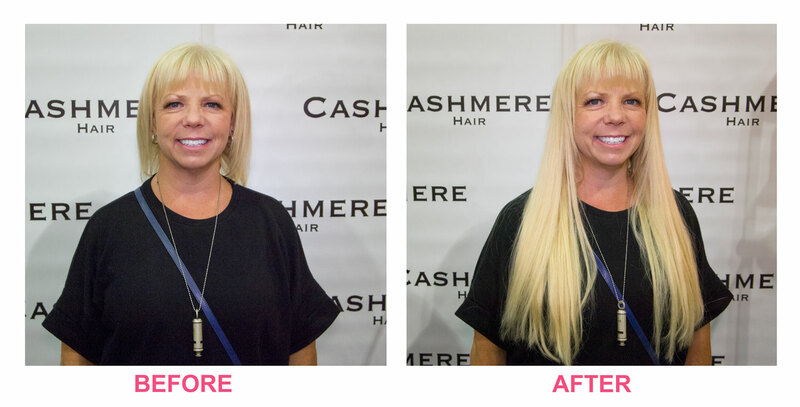 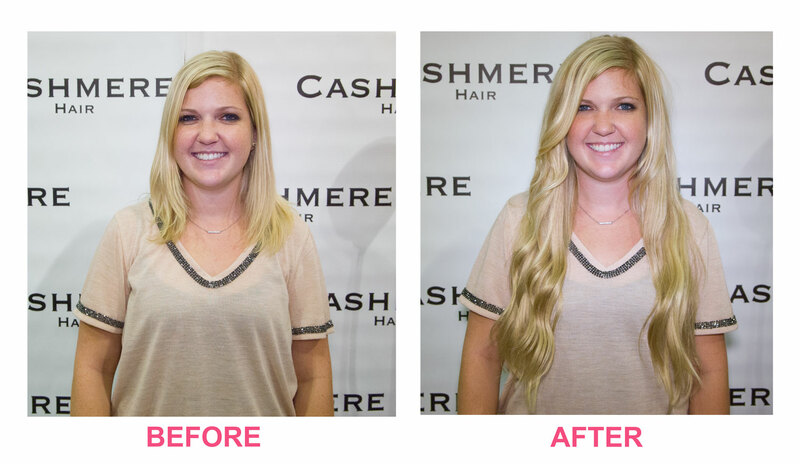 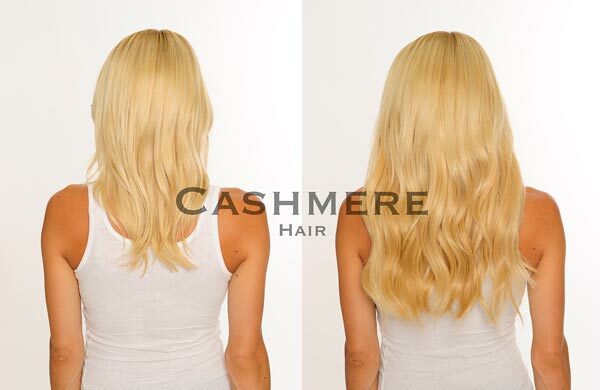 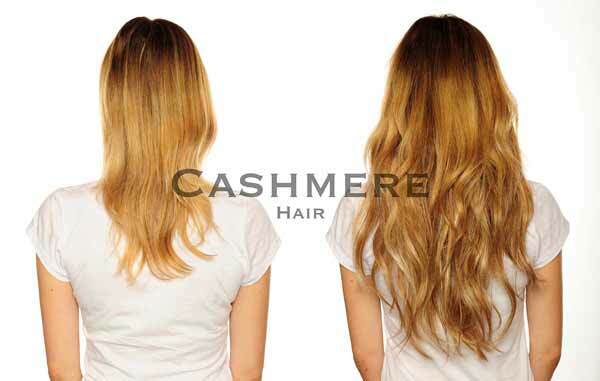 Wearing Cashmere Hair Clip In Extensions (Full Set & Uncut) in Lightest Blonde Shade. 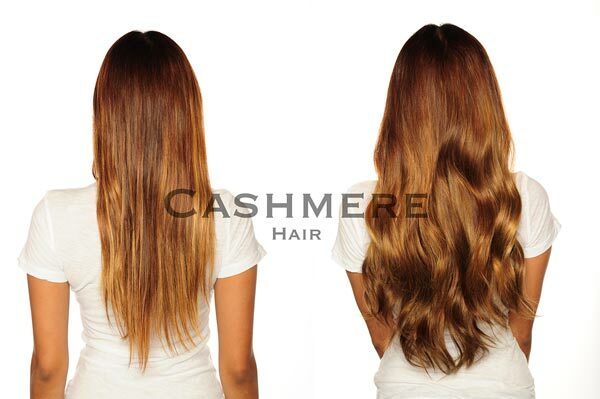 Wearing Cashmere Hair Clip In Extensions (Full Set & Uncut) in Sunset Blonde Shade.